Summer is coming! 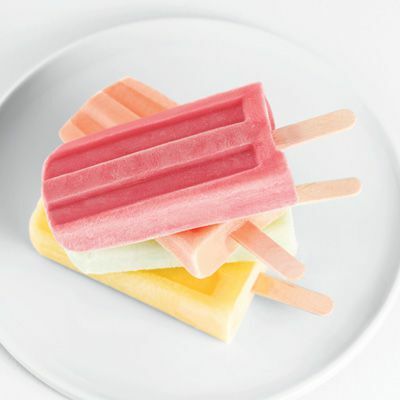 Get ready with yummy ice pop recipes. With the beginning of that accursed Daylight Savings Time (or is it the ending? I can never keep it straight) it’s easy to feel the hint of long summer nights just around the corner. With the brighter evenings and the slightly warmer weather, nothing says “Hello, Spring!” or “Come on, Summer!” like a delicious, and in the case of our first recipe, breathtaking popsicles! 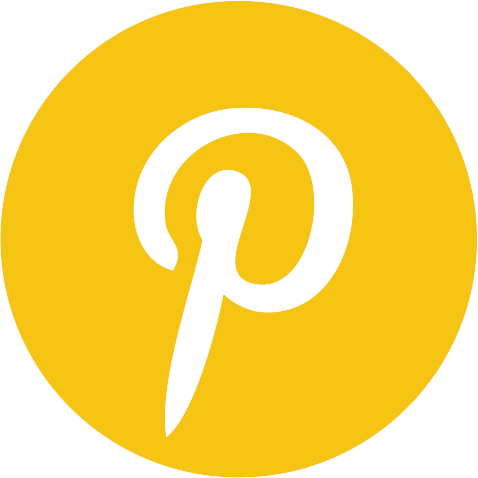 Below I’ve rounded up some of the favorites around our house as we prep (and cheer) for summer. You only need a few things to get going: A blender (or food processor), some Popsicle Molds (or these nifty ones), and some sticks! 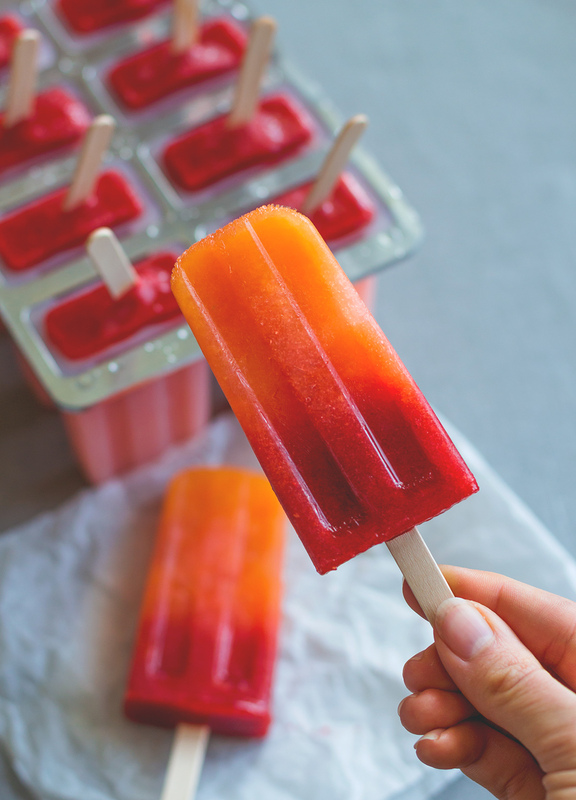 Orange Strawberry Sunrise Popsicles: These are not only a feast for the eyes, but also for the tongue. There is nothing quite like the combo of orange and strawberry in my opinion. The sweet of the strawberry marries the tart of the orange in a delicious combo that’s hard to beat! These are definitely delicious, healthy ice pops! 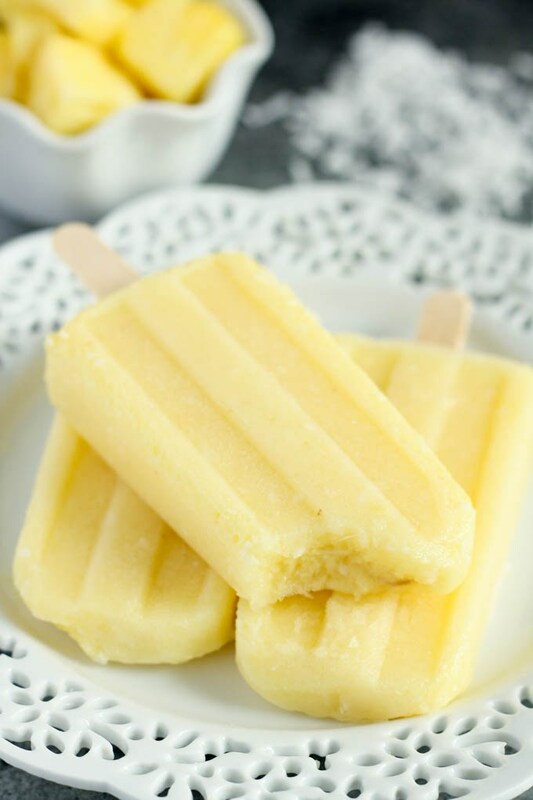 Coconut Pineapple Ice Pops: This is the perfect popsicle if you’re in the mood for something creamy and fruity at the same time. I’d seriously suggest blending everything together in your food processor so that you have a smooth consistency. Unless you really enjoy the fruit chunks, in which case, forget the blender. 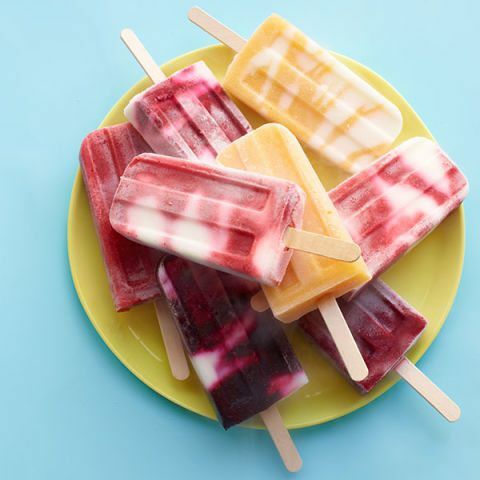 Fruit ‘n Yogurt Swirl Pops: These are another take on the creamy/fruity popsicle. 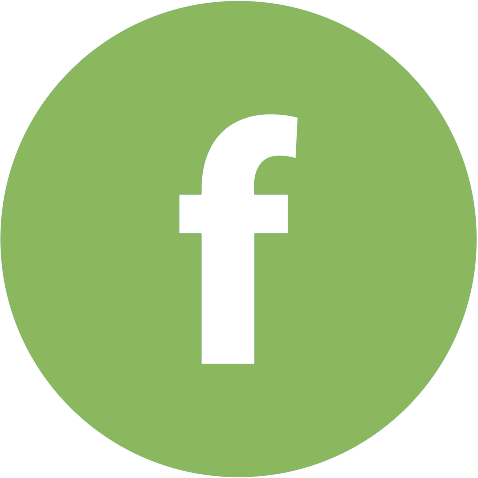 The nice part about these is that you can completely customize them to your preferences. Want something super tangy and refreshing? Use a more tart fruit and a milder yogurt. Want to recreate the Dreamsicle in a more healthy manner? You can definitely do that with this recipe. 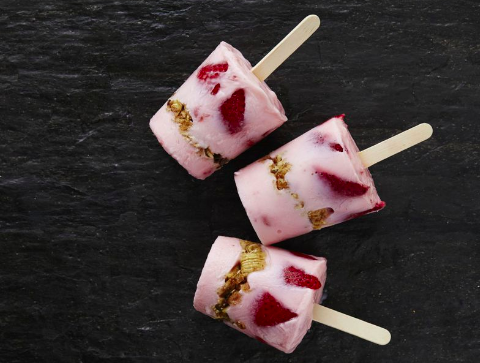 Strawberry Granola Breakfast Pops: Who says you can’t have popsicles for breakfast? This was a super sneaky way to get my kids to eat their breakfast on the go and not feel guilty about stopping at the Golden Arches. You can either make your own granola, or buy your favorite to save some time. Rainbow Popsicles: Looking for something extra festive? 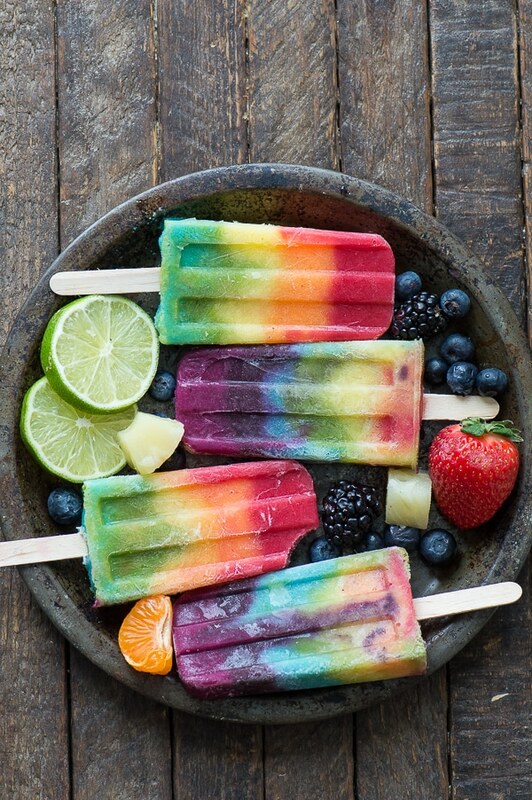 Well these fruit filled rainbow popsicles are about as festive as it gets! They come together really well, and with a little left over you get to have some tasty smoothies while you wait for the popsicles to freeze. 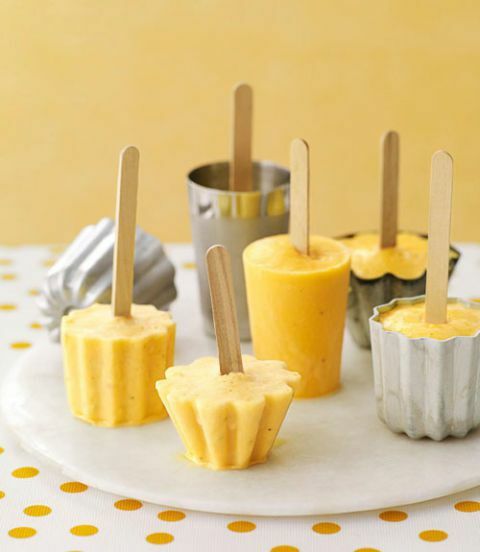 Orange-Banana Smoothie Pops: These are a classic! The sunny orange flavor melds so nicely with the mellow banana. They are definitely a crowd pleaser no matter where you go! 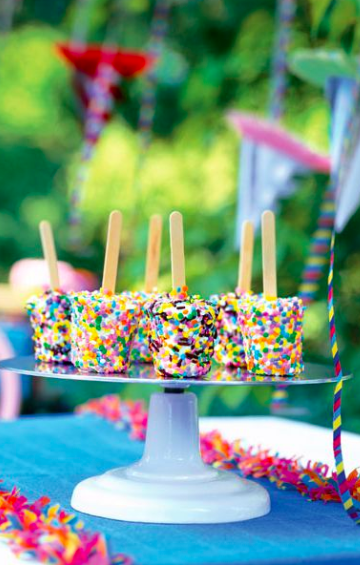 Confetti Ice Cream Pops: These are the popsicles for a party! Not only are they beautiful, but they have a hidden surprise inside in the form of a soft centered candy bar. Not only are they delicious, but they are guaranteed to satisfy any sweet tooth. Try buying your candy from the CandyStore to get some awesome discounts. Fruit Pops: These make beautiful looking pops while also being gentle on the tongue. The mellow flavors of watermelon, honeydew, and cantaloupe are the perfect way to welcome summer. Cake Batter Popsicles: Looking for something a little less fruity and sunny on the tastebuds and a little more indulgent? 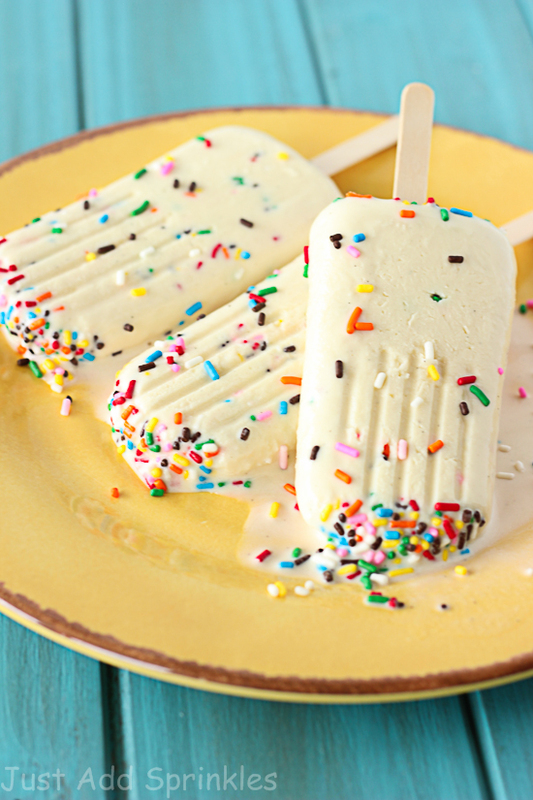 Look no further than these delicious Cake Batter Popsicles. These babies come out rich, creamy, and oh so delicious. 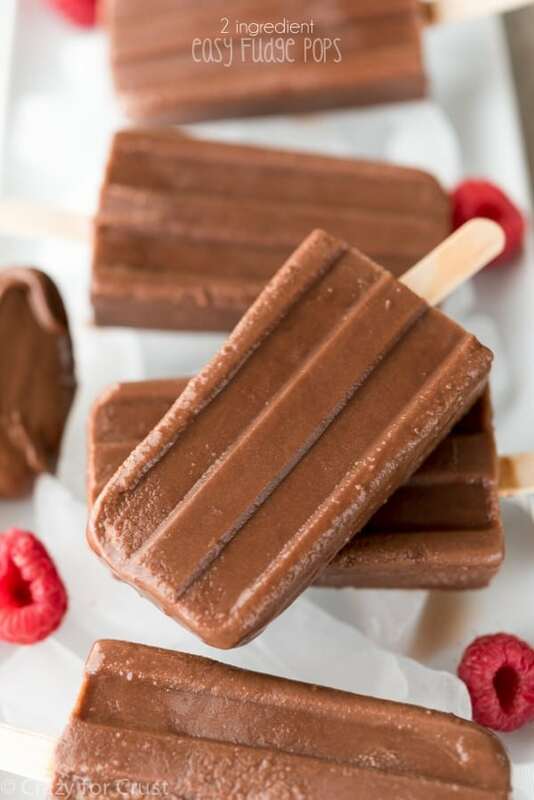 2 Ingredient Fudge Pops: I saved the easiest and most classic for last. This recipe comes together in a jiffy and are made of two of my favorite things: Chocolate Almond Milk and Nutella. They are creamy, delicious, and perfect for a warm spring evening.